Antique Spice Box from Afghanistan with Bird Motif. Antique Spice Box from Afghanistan. 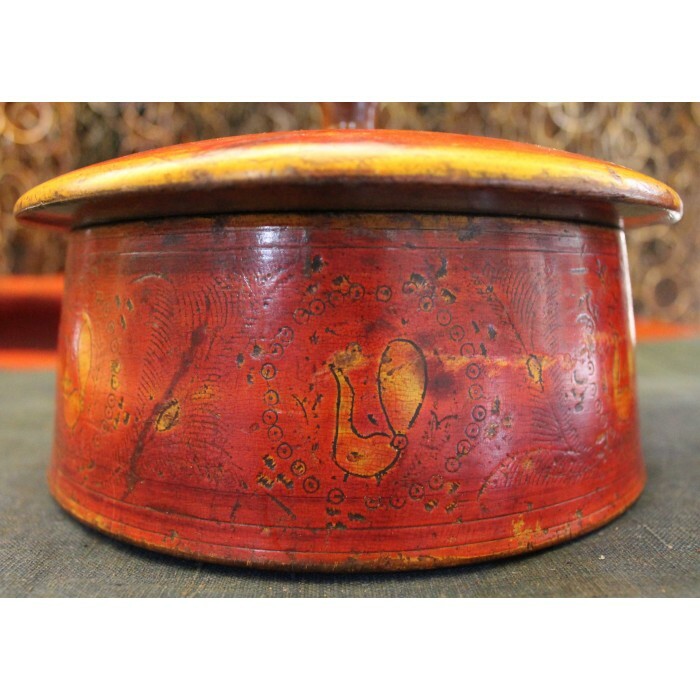 This spice box is painted with red-orange, warm yellow colors. There are bird motifs on the box and the lid. Very good condition considering the age.